The protection of our Mother Earth is everyone’s responsibility. With this in mind, plus our business philosophy – integrity, pragmatism and innovation – we have long been reinforcing the humanistic spirit of honor and love to our Mother Nature in both internal and external business conducts. Maintaining a clean and sustainable earth for our posterity is our common mission. 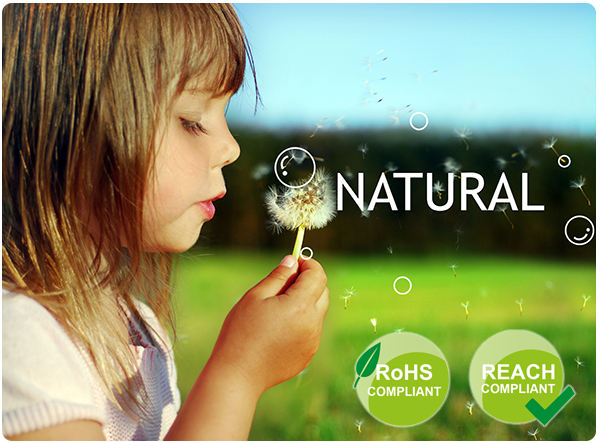 REACH and RoHS introduce environmental responsabilities for manufacturers. Babygee is strongly involved in complying with these regulation/directive, and in satisfying its customers requirements. Boosting employees’ awareness of environmental protection, energy conservation and carbon reduction via relevant training and education. Continuous monitoring and optimization of energy consumption. Commitment to eliminate or reduce environmentally hazardous substances by customer demands. Regular surveillance on factory waste according to legal regulations. Implementation of waste recycling in the work environment. 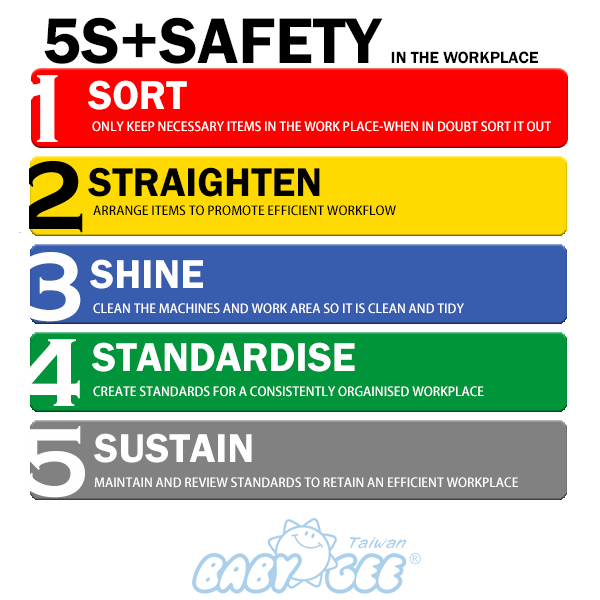 Reinforcement of 5S workplace organization method to promote continuous improvement.